I used to be a lip balm obsessive (and I still am), and then I converted into a lip gloss crazy, and a few years back I've gone and changed again, but this time, into a lipstick fan. 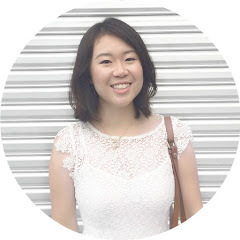 I love how lipsticks can change my complexion from dull to looking healthy and rosy. My lipstick collection definitely does not need any new additions, but my obsession has me justifying to myself that I need this shade and that shade because they are oh-so-pretty or oh-so-unique, and that was exactly what I told myself when I purchased these babies a while back. What it claims: High shine lipstick that gently moisturises the lips. Fragrance-free. Dermatologically tested. 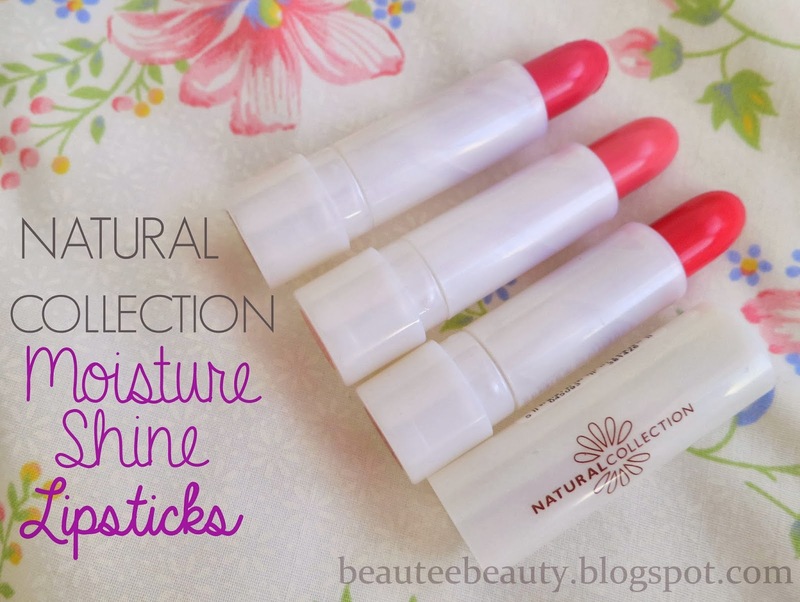 Packaging: These lipsticks come packaged in a sturdy white plastic swivel tube with the brand 'Natural Collection' written simply on the lipstick cap. The packaging is nowhere near fancy, but it does the job of keeping the product inside safe without breaking, which is fine by me. The cap also closes with a nice 'click' which I like- makes it sounds protected somehow. Hee! I have three shades which look absolutely lovely in the bullet, and are a mixture of pinks and reds- my kind of lipstick. I purchased them at different times, and the shades are: Cranberry, Pink Mallow and Raspberry. Application/Texture/Consistency: Application of these lipsticks are generally easy- they are smooth; apply and glide on the lips like a breeze. They all have a moisturising texture, and do not tug on the lips, although I did find that Pink Mallow felt the lost drying out of the three. They do not have matte or glossy finish, I think the best word I can think of to describe the finish is a satin finish. Pink Mallow and Raspberry are also free from glitter and shimmer, but Cranberry has a slight gold glitter/shimmer look to it which is quite pretty. Generally, I think the quality of these lippies are really good! And for the tiny price of £1.99, I can hardly say that it breaks the bank. I normally do not put a picture of my bare lips (although I have no idea why I don't haha!) in my lipstick posts but I thought I'd do it to help give a better picture when comparing with the lipstick shades on my lips. Pink Mallow is a cool-toned pastel barbie pink which for some odd reason looks more yellow-toned when swatched on my arm than when swatched on my lips itself. The shade looked so lovely on my hand, but on my lips it clashes against my fair-medium yellow-toned Oriental skin and makes me look ill. From afar it looks not too bad, but up close it looks pretty clashing- in a not so good way. Although this lipstick was moisturising, I found that it clung to the dry areas on my lips and emphasised them. There's also not much shine to this lipstick compared to Cranberry and Raspberry. I am still trying to make this colour work (although I don't see how I can convince myself that it will work) but I think it will look gorgeous on fair or pale-skinned individuals. Based on swatches online, this colour looks similar to Rimmel's Lasting Finish Lipstick in Pink Blush and Topshop's Lipstick in Pillow Talk and/or Innocent. Next up on the list is Cranberry! Cranberry is a mid-toned pink with slight warm undertones which will suit skin tones of all types. The colour is very versatile, and out of the three lipsticks here, this has got to be my favourite shade. It brightens up my overall complexion, and does not wash me out. It has a little silver/gold shimmer, which I think is lovely, and the satin finish leaves a bit of a shine to the lips. It does not cling to the dry areas of my lips nor does it emphasise them. Overall, Cranberry is a very pretty shade which can be worn every day and for many different occasions (this is one of my everyday 'going to uni' shades, hee!). Raspberry is another versatile shade which I think will suit many different skin tones. It is a warm-leaning pink-red with light coral undertones. It has no shimmer or glitter in it, so the satin finish shines through nicely. I found this moisturising like the other two lippies, and unlike Pink Mallow, it did not cling to the dry patches on my lips. This warms up my complexion and leaves me looking rather healthy and glowy- which I really like! I can see this being a staple in my lipstick rotation as the weather warms up (although back in Malaysia I tend to wear pretty much whatever shade I fancy), and paired with bronze eyes and a sundress it will look so pretty! I also found that none of the three lippies bled from my lips, or sank into the fine lines of the lips. Staying power was average, approximately 2-3 hours. I do not really mind this thought because I tend to occasionally touch up on my lipstick throughout the day anyway and also because it is at such a bargainous price, I really cannot complain! Ooh, and before I forget (I always feel like it is important I share this), none of the lipsticks caused me any allergic reactions or irritation. I never heard of this brand but the lipsticks look really nice :o Specially the darker colours! They are very beuatiful and they look really good. 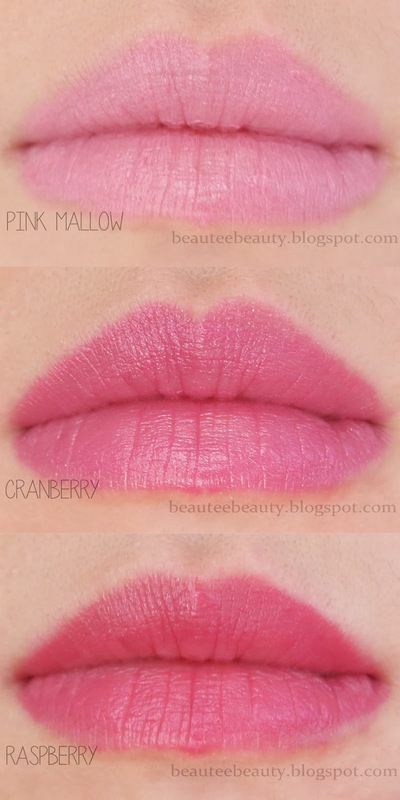 Pink Mallow is also a colour that doesn't suit my skin tone, but the other two i would love to try. I have not heard of Natural Collection before. Although the packaging seems a little boring but the colours are pretty ok & I like the Cranberry colour Lipstick.